Grad 2 Grad is a new program that was launched this year as a way to unite our Upper School and Lower School students. Our desire and purpose is that the senior student will be a Godly spiritual and social influence that leads their kindergartener. 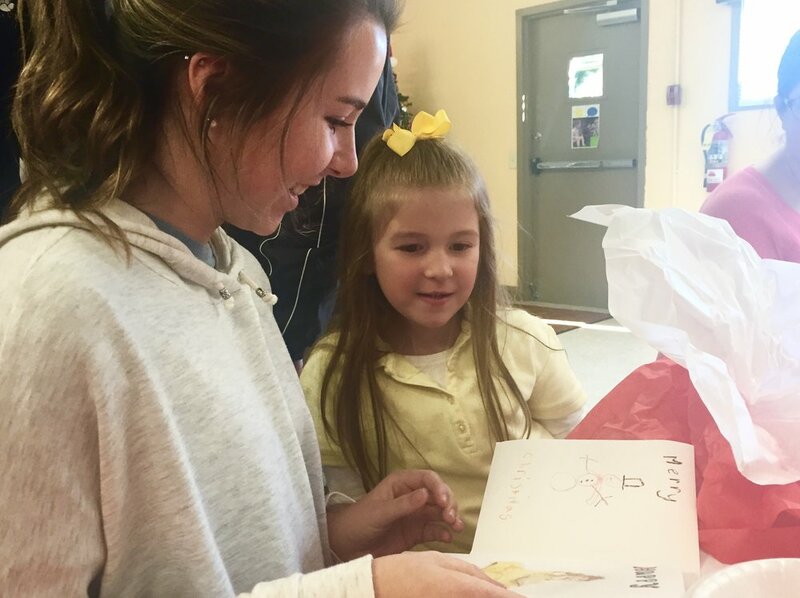 The idea was proposed by two senior students, Kevin Allen and Rylee Atwell, who had already taken an interest in some of our staff member kids by spending time with them after school. 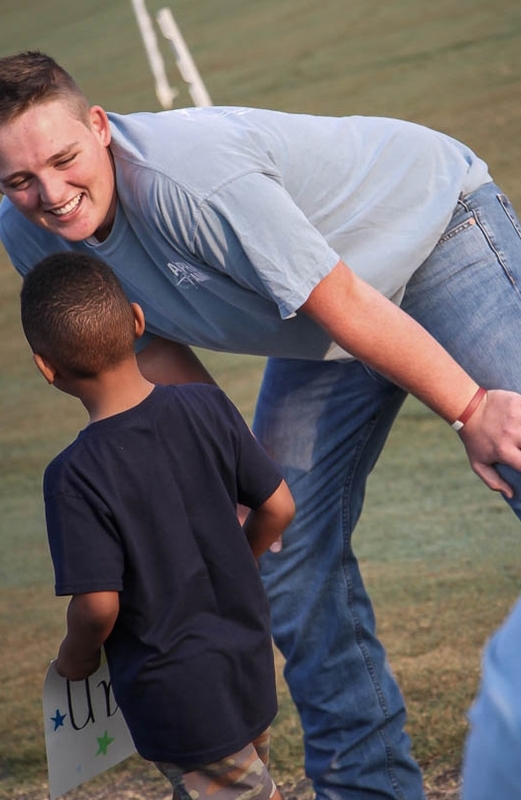 Kevin also volunteered this past spring as a soccer coach for one of the kids. Together, Kevin and Rylee took initiative to try and bring something similar to other students at LCA. The idea of Grad 2 Grad was presented to Administration who gave the approval to move forward with the program and the rest really is history. We have 18 seniors and 18 kindergartners (10 girls and 8 boys) who are participating. The partnerships were revealed to students and parents on a Friday morning at the start of school. Everyone gathered on the football field for the big reveal. Grad to Grad partnerships were revealed Friday morning! 36 total students are participating in the program this year!